Creating effective and efficient inventory management systems for clients, including warehouse inventory system design software for an inventory control system, is an Outsource Equipment specialty. No matter what you need, we can provide a warehouse system design that works to create efficiencies and optimize operations while staying within budget. Whether you want to create a system with all new material handling equipment — or with used warehouse equipment — we can help. Work, Material and Process Flows How well do materials move into, within, and out of the facility? Do bottlenecks exist in the process or layout; that restrict movement or throughput? (Outsource Equipment Company’s state-of-the-art 3D warehouse simulation services are an excellent way to find these answers.) Picking and Storage Modules Do the picking modules hold enough inventory to avoid excessive replenishment? Are the storage modules appropriately sized? Is “first-in first-out” (FIFO) a consideration in your picking and storage inventory control system application? Special consideration also must be given when lot number control is an issue. (See why Nova Software is an excellent order-picking software choice.) Mobile Equipment What are the right mobile equipment types and capacities for various functional requirements? Will the equipment handle peak requirements? 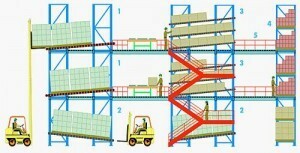 Conveying and Sortation Equipment Does each zone have the right equipment and capacity? Will the system satisfy design requirements? Staffing How many people will be required to run the operation? Are the personnel properly trained? What do you do for peak periods? • Is the inventory control system design flexible? 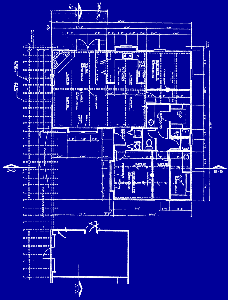 • How well will the facility adapt to changing operations requirements? • How well does the warehouse management system design work with mechanized and/or automated materials handling system components? • Can those components be upgraded and/or modified at reasonable expense? • How difficult will the design be to implement and maintain? • How much training will be required at start up? Ongoing training? 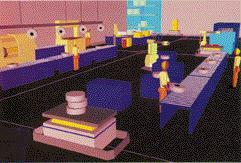 • Are the information and materials handling system components user-friendly? Outsource Equipment is ready to help you find the answers and create the optimal warehouse system design for your needs.